During the winter months a few years back, a significant level of snow had accumulated on one of Glenfiddich’s warehouses storing single malt. The roof caved in under the weight of the snow but the whisky casks remained intact. Upon inspection of the damage, onlookers noticed a pattern in the opening of the roof that resembled a “phoenix” rising from the damage and into oblivion, so to speak. Thus, the marketing department cheered and wept with joy. 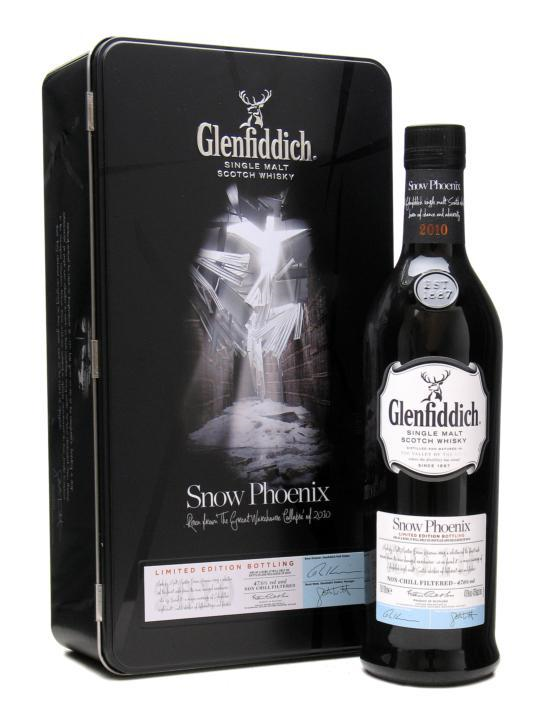 Glenfiddich Snow Phoenix was created. 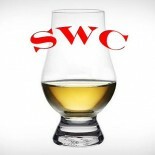 Nose – Malty, dry sherry. Citrus, coconut and sweet notes of vanilla. Taste– Malty again. Good balance with sweet flavors. Mouth coating and delectable. Finish– Long and lingering. Dry sherry notes, oaky on the back end. Comment– Great balance and character. Delicate but flavorful with delicious cereal notes. All categories impress with satisfaction. This bottle certainly has a nice story and we’re glad to have experienced it.